Is our word choice causing more car wrecks? It’s a car crash, not an accident. That’s the message coming from behavioral researchers partnered with The Risk Institute Distracted Driving Initiative at The Ohio State University Fisher College of Business, who recommend that people need to stop using the word “accident” when comes to distracted driving crashes, as well as several other behavioral recommendations. The Distracted Driving Initiative at The Risk Institute at is a nationwide endeavor comprised of dozens of companies, government entities, and researchers seeking to combine key partnerships, critical research, and leading-edge technology to predict and curb distracted driving behaviors. The number of fatal traffic accidents rose 7.2 percent nationally in 2015 according to the National Highway Traffic and Safety Administration. It is the greatest year-over-year increase since 1966. Distracted driving was a factor in about 10 percent of auto deaths; the exact percentage is difficult to determine due to privacy rules and other factors. 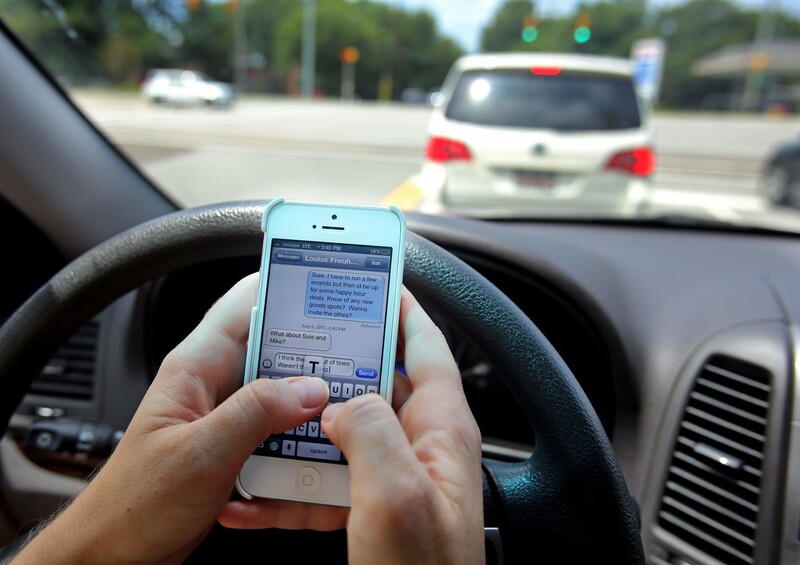 “We can change the norms about distracted driving, too. These crashes are entirely preventable; at Ohio State, we’re working together to figure out how to help people not drive distracted”,” said Shoots-Reinhard. 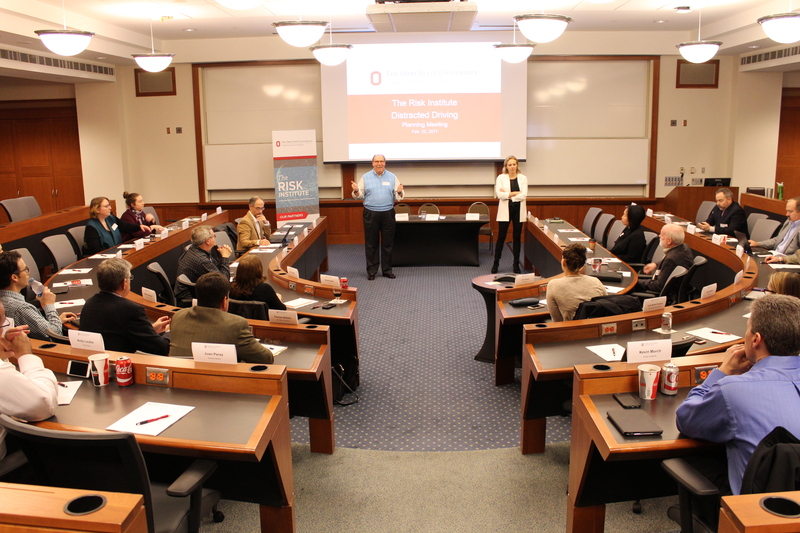 The Risk Institute at The Ohio State University Fisher College of Business brings together practitioners and researchers to engage in risk-centered conversations and to exchange ideas and strategies on integrated risk management. Through the collaboration of faculty, students and risk management professionals, The Risk Institute addresses risk at a broad cross section of industries and is dedicated to developing leading-edge approaches to risk management. The Distracted Driving Initiative at the Risk Institute began in February 2017. Industry partners involved with the project are Honda Inc., Aon Benfield, Nationwide, NiSource, Ford, Motorists Insurance, DHL, State Auto, Freer Logic, TrueNorth, and others. Representing the legal and governmental branches are the Ohio Attorney General’s Office and the Ohio Department of Public Safety. Ohio-based Root Insurance, Smart Drive, Greenroad, and eDriving Fleet make up the technology voices in the conversation. A dozen researchers and thought leaders from OSU representing behavioral science, engineering, automotive research, risk and others make up the research arm of the initiative. The Risk Institute at The Ohio State University Fisher College of Business is leading a nationwide initiative comprised of dozens of companies, government entities, and researchers seeking to combine leading-edge research with industry expertise in order to predict and curb distracted driving behaviors. The project officially kicked off on Wednesday, February 22 at a roundtable discussion at The Fisher College of Business. The consortium identified a three-tiered approach: research, legislation, and technology. Practical research application is a crucial component of this initiative, particularly behavioral research. Industry partners involved with the project are Honda Inc., Aon Benfield, Nationwide, NiSource, Ford, Motorists Insurance, DHL, State Auto, Freer Logic, True North and others. Representing the legal and governmental branches are the Ohio Attorney General’s Office and the Ohio Department of Insurance. Ohio-based Root Insurance, Smart Drive, Greenroad, and eDriving Fleet make up the technology voices in the conversation. A dozen researchers and thought leaders from OSU representing behavioral science, engineering, automotive research, risk and others make up the research arm of the initiative.